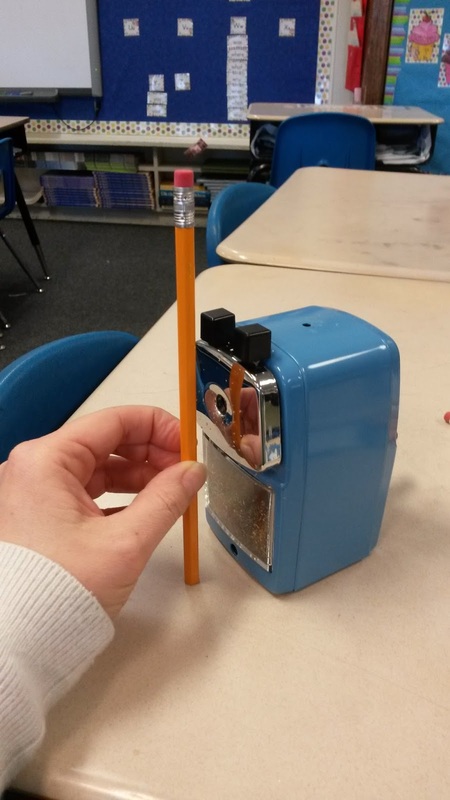 The Primary Treehouse: Have you seen these pencil sharpeners? 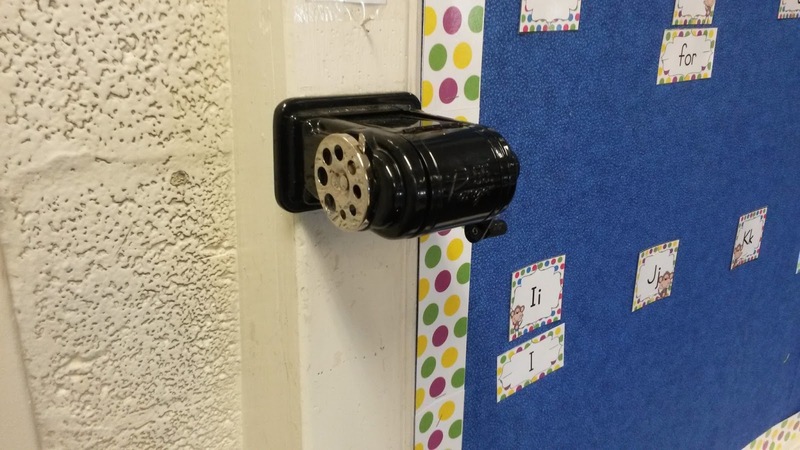 Have you seen these pencil sharpeners? 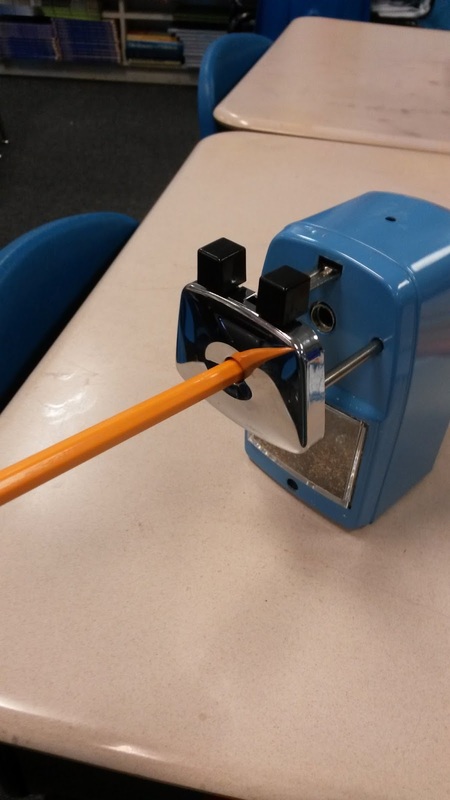 I am sure that by now you have seen these amazing pencil sharpeners, but I am here to let you know that all the "buzz" is true!! 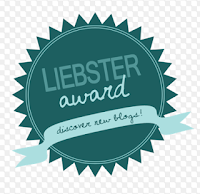 I have been hearing about these across blogs, Pinterest, Facebook... everywhere. I wanted so badly to try one and see if it really was all of the hype. 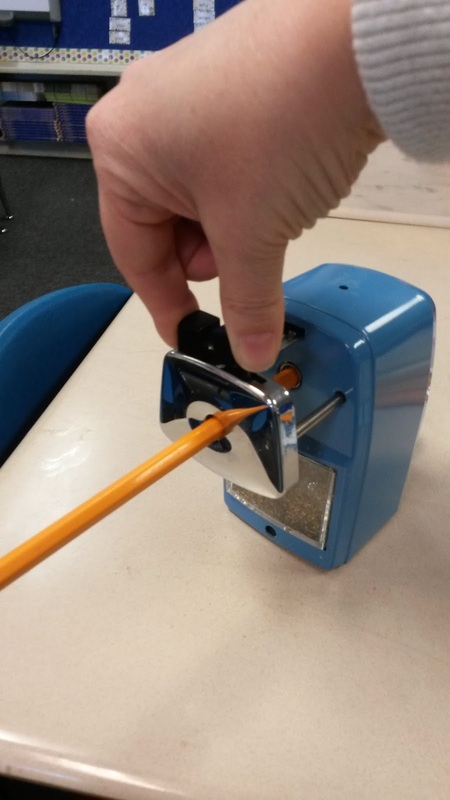 I had my trusty electric pencil sharpener, did I really need this one? The answer is YES YES YES!! As I am sure that you know, these do not work! Yet, the kids are always obsessed with it? How is that? 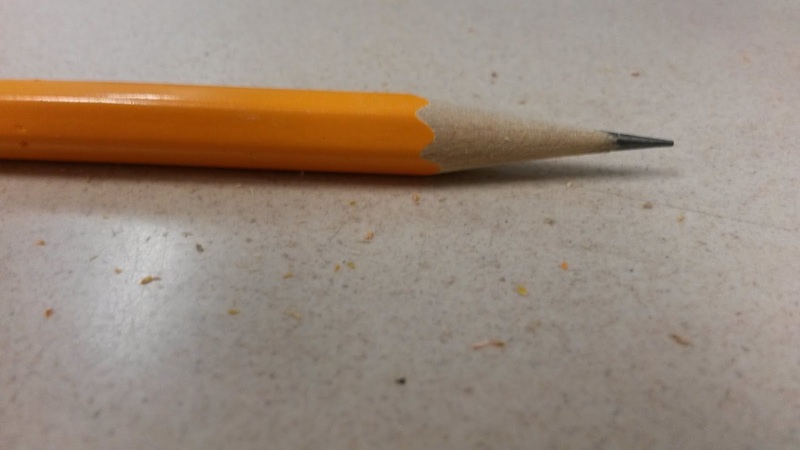 They eat up the pencils and half of the time, only one side of the pencil is actually sharpened. As a result, I went out and purchased this bad boy! 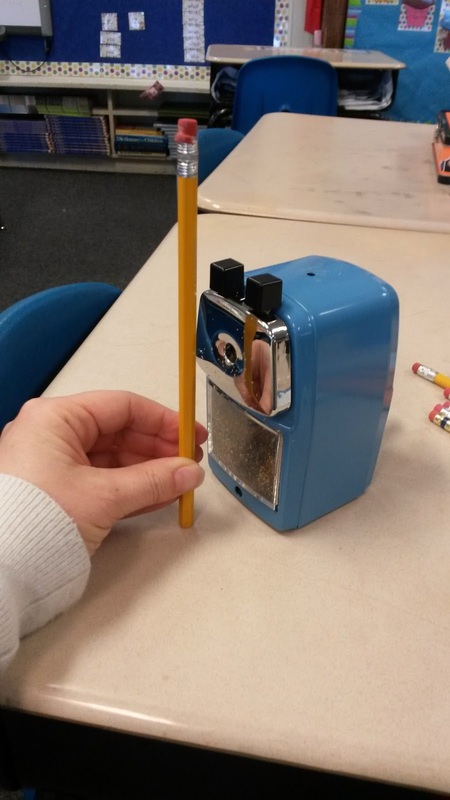 I have always loved this pencil sharpener. It is fast, always sharpens pencils well, and is durable. The downfall, it is super expensive. 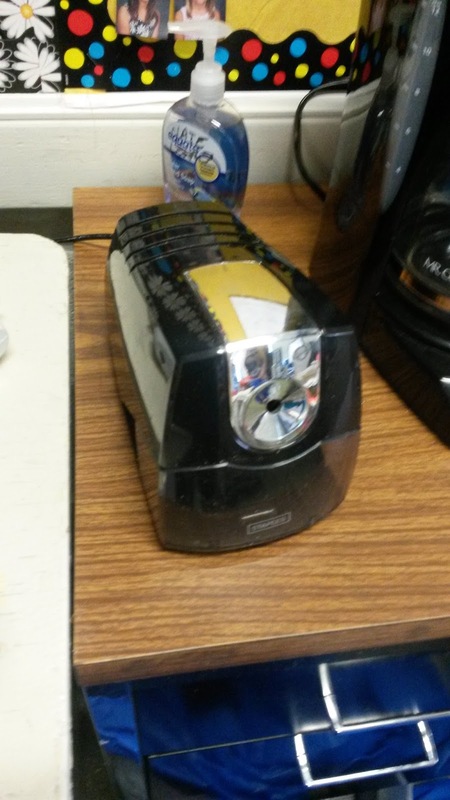 Since it is so expensive and I don't want the motor to die, I do not allow my students to use it. 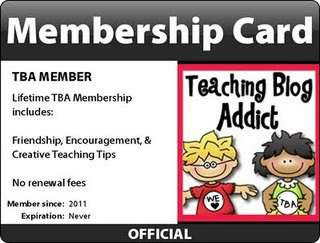 That means that every morning I have to stand by the pencil sharpener and sharpen pencils for all 25 of my kids. This is not my idea of fun, especially when I am collecting money and notes, organizing lunch counts, answering phone calls, etc. Well, not any more!! 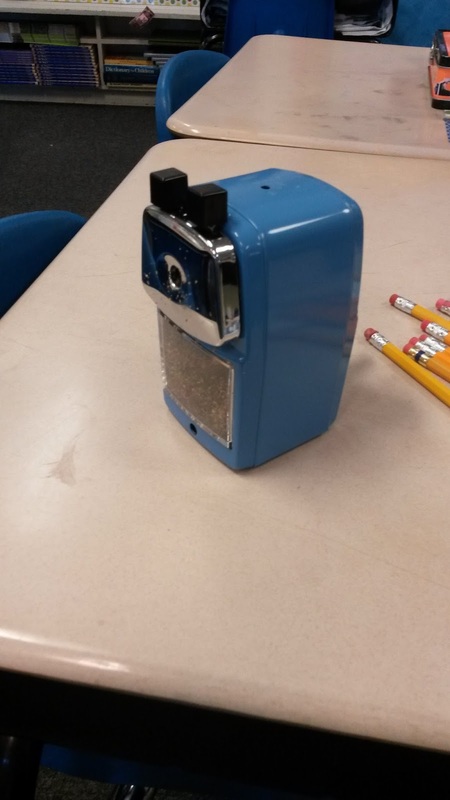 I picked up this fabulous pencil sharpener from Classroom Friendly Supplies. 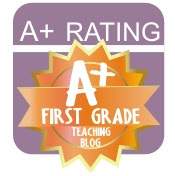 This is a teacher owned company so you know it has to work! They have sharpeners available in so many different colors and they are only $25! 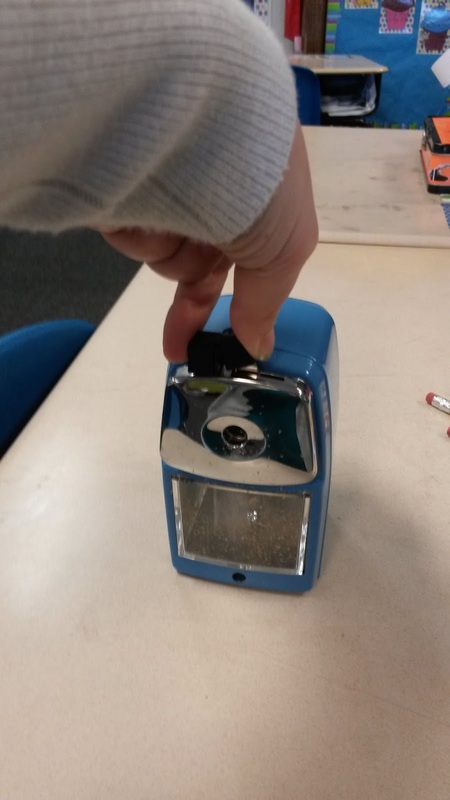 This is a pencil sharpener that my students can work and it gets pencils sharper than any electric sharpener I have owned! 1. Squeeze the black knobs and pull out. 2. Squeeze the black knobs and put the pencil in. When you release the black knobs it will grip the pencil for you. The kids don't have to hold the pencil! 3. As you sharpen, it goes back in. 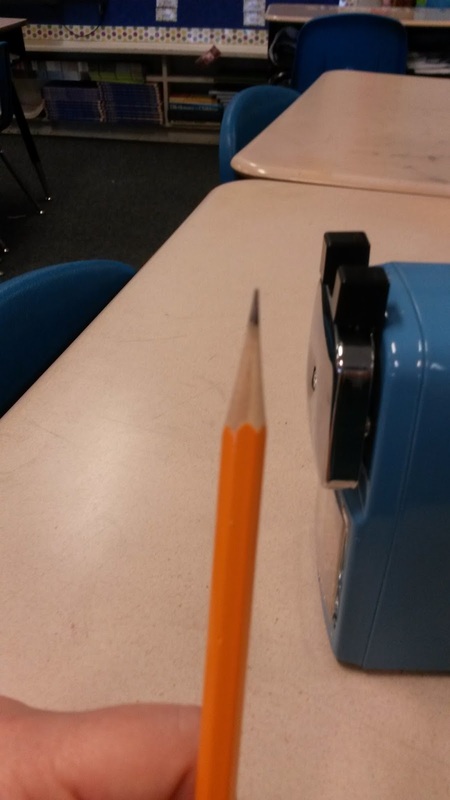 When it goes all the way back in, your pencil is done!! A great visual for students! I also love how small and compact it is. 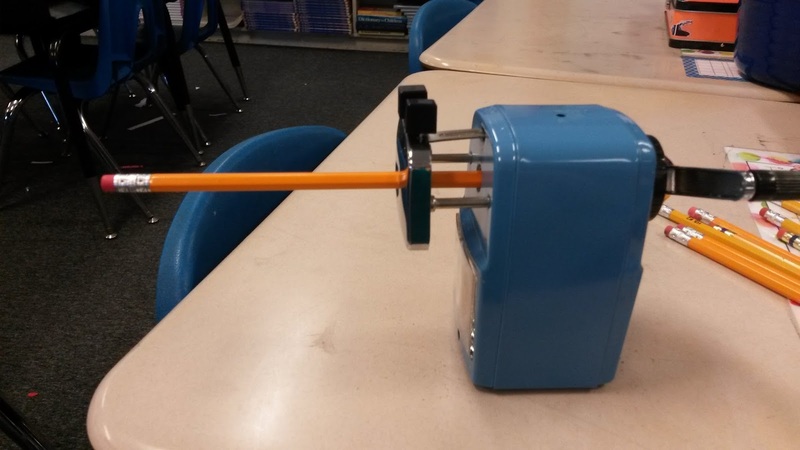 It will fit anywhere without taking up all of the space that an electric pencil sharpener does! 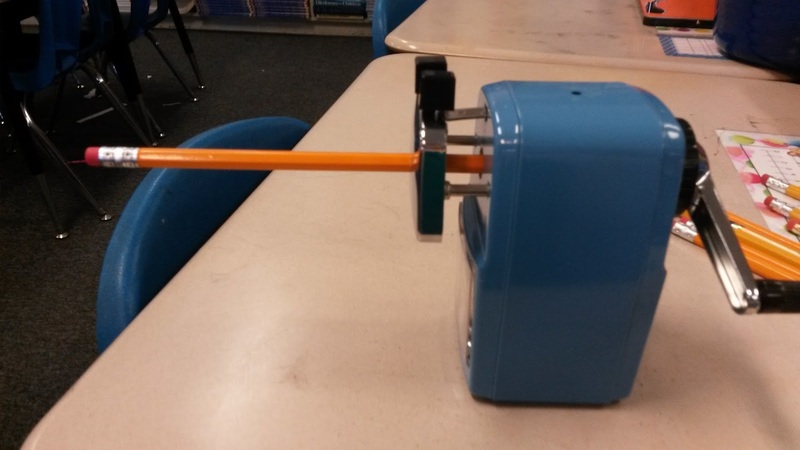 Be sure to head over and check out these pencil sharpeners. They truly are worth it! 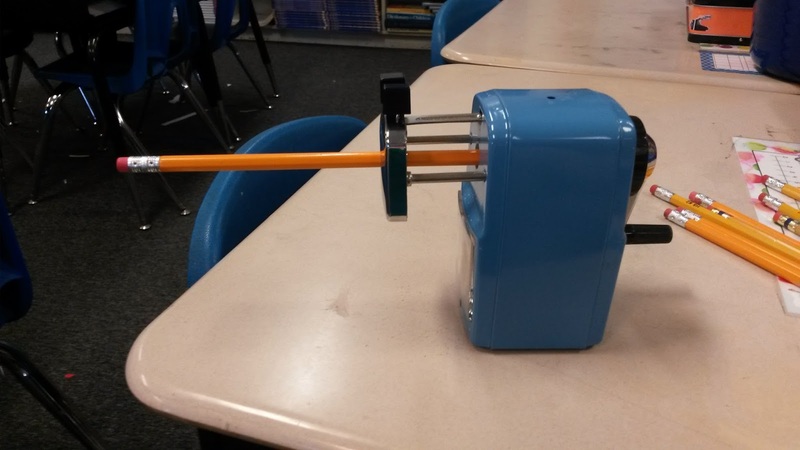 I LOVE this pencil sharpener! I don't know how I survived so long without it! 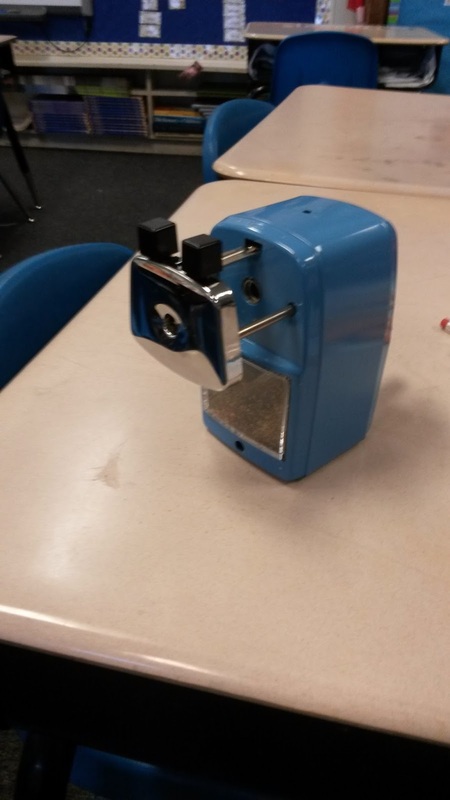 I have two of those pencil sharpeners in my classroom, and I love them!! 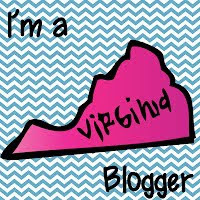 Dollar Days Sale and a Giveaway! !